Viking era is a game for two to six players. 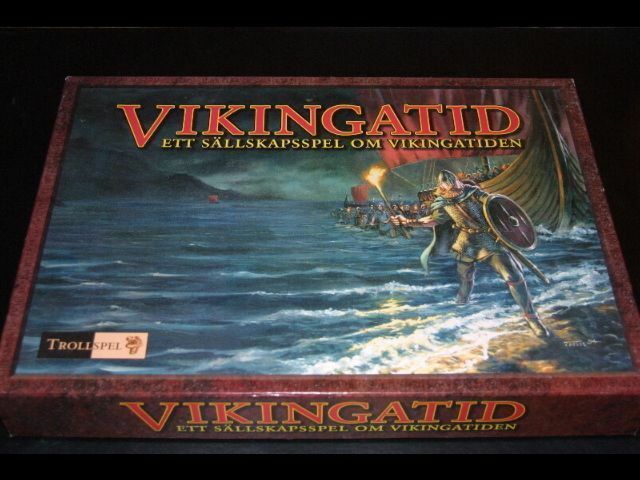 The game describes the Viking era in, for common family games, untypical detail. The players play Danish, Norwegian or Swedish Vikings. They move their fleets around the known world to trade, plunder and conquer. Furthermore, it is possible to discover hitherto unknown land areas. The game is over when all players are Christianized. The player with the most points wins the game.